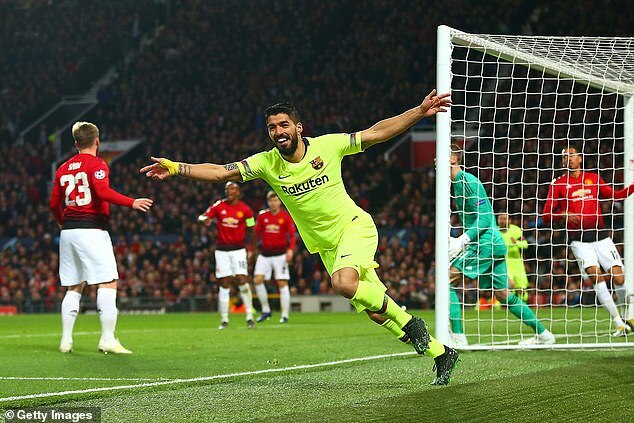 Two decades on from sealing the treble at the Nou Camp, Ole Gunnar Solskjaer will attempt to secure another memorable win at Barca’s home this Tuesday. Pogba’s brace from the spot sealed a 2-1 victory at Old Trafford and the World Cup winner is now looking to cause a shock in Catalonia. ‘I think it’s a really important three points,’ the midfielder said. ‘We know about that. We wanted to do obviously better and score more goals, but we get the result that maybe we deserve. ‘Now what we have to think about the next one, the next game, get some rest and get focused on Barcelona. 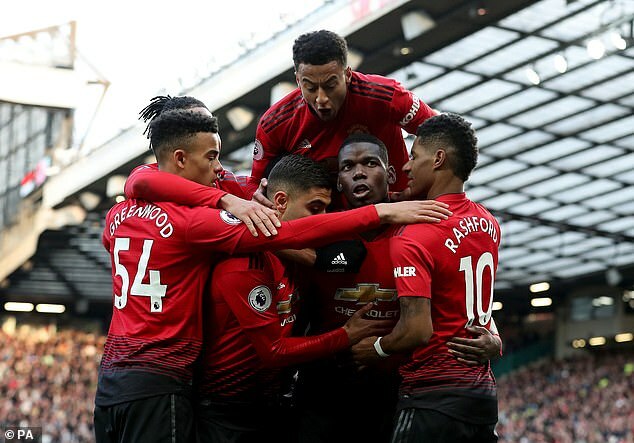 Solskjaer’s side have also proven their mettle when the chips are down, having made Champions League history in the previous round against Paris St Germain by becoming the first team to progress after a first-leg home loss by two or more goals. ‘The game is not done, it’s not closed,’ Pogba said. ‘I know it’s Barcelona, we’re playing in their home, but it’s never closed. It’s still 90 minutes. 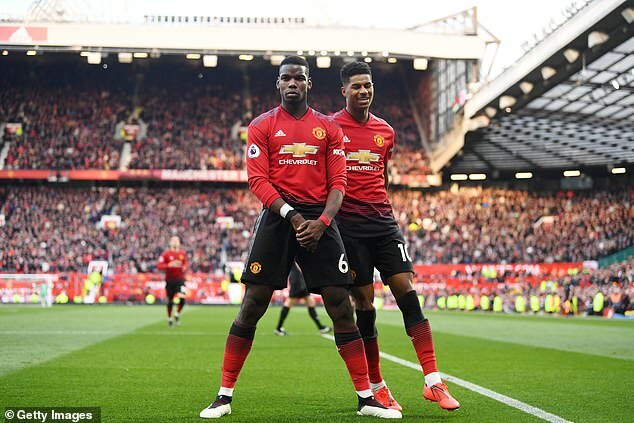 Pogba missed that remarkable return leg at the Parc des Princes through suspension and will be looking to make his mark after a welcome return to form on Saturday. One of few players to emerge from the West Ham match with any credit, the 26-year-old took his goal tally for the season to 16 with a pair of spot-kicks that saw him move away from his favoured stuttered run-up. ‘Yeah, I can still go back to the old one!’ Pogba told MUTV with a laugh. ‘I just changed it because I think the keepers, they know how I shoot penalties and I just changed it to make a little difference. Pogba struck the killer blow just moments after David De Gea produced his latest moment of magic. 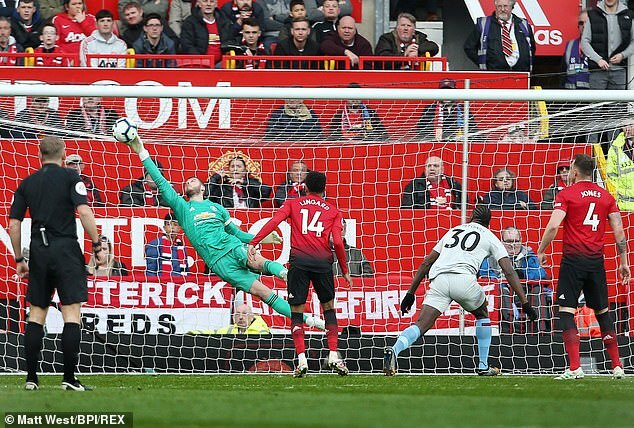 Guilty of giving away possession in the build-up to Felipe Anderson’s goal, the United goalkeeper more than made amends with an outstanding stop to claw away Michail Antonio’s header. ‘David is David,’ Pogba said. ‘We know about this. This is not something incredible. We’re used to it. And hopefully we’re going to keep being used to saves like that. ‘I told him ‘this is normal for you, so I don’t congratulate you, I just don’t say anything, it’s normal’. Luck certainly was not on West Ham’s side on Saturday evening, with Anderson seeing a goal wrongly ruled out for offside early in a match that the visitors dominated for large patches. Versatile Arthur Masuaku said: ‘We played really well, everyone is frustrated about this game and I don’t even know how we lost this game. We should have won.